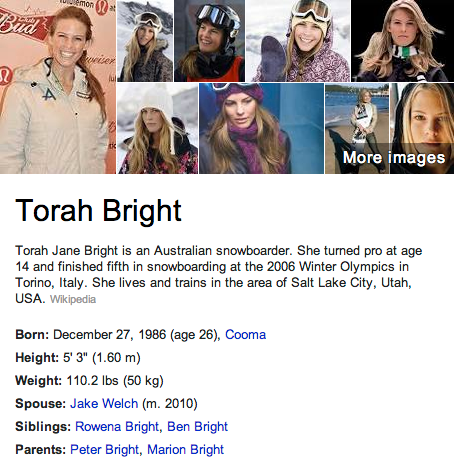 Torah Bright is one of the most dynamic snowboarders in the world. Her innovative half pipe runs and her ability to master any terrain have made Torah one of the most popular international athletes. She is one of the most photographed female snowboarders in the world. Torah has been featured on billboards, in newspapers, magazines and television campaigns all over the globe. She was even a character in the Microsoft X-Box Game Amped 2.